Thrips target your plant's buds and flowers so treatment and prevention are both vital to keeping these pesky critters at bay. 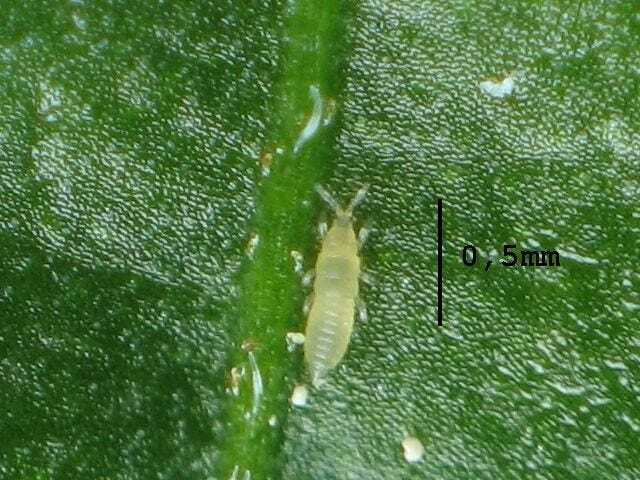 Thrips are tiny, thin insect pests that cause damage to plant tissue by sucking out the juices inside, causing plants’ leaves, vegetables, and fruit to have a mottled appearance resulting in loss or delayed and reduced growth, some even carry plant viruses. Adult thrips have fringed wings and are usually yellow, brown or black in color, while their even smaller immature nymphs appear more pale green or yellow. Thrips can cause devastation in large numbers so monitoring and control are important parts of you IPM (Integrated Pest Management) plans. Adult thrips can be monitored by hanging bright yellow or blue sticky traps in or near plants. Effective treatments include the use of insecticidal soap, Neem oil, Pyrethrins, and Spinosad products. 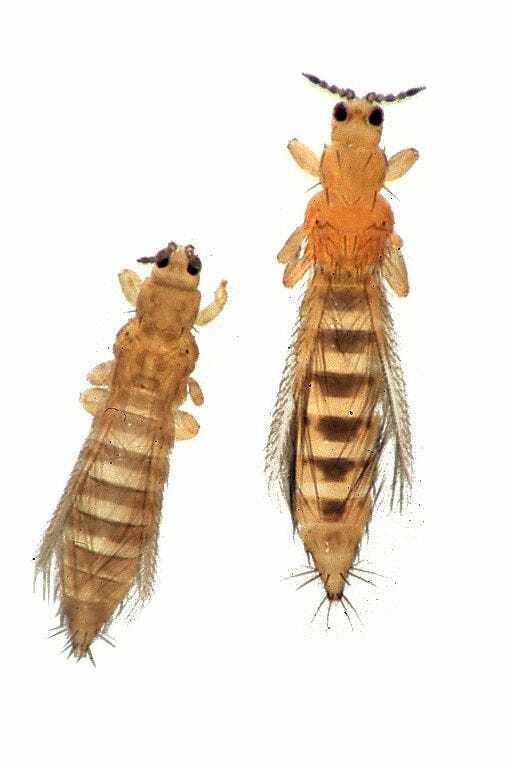 There are even some insect predators available for thrips.